Let us take example of a table as shown below with the following table columns defined. 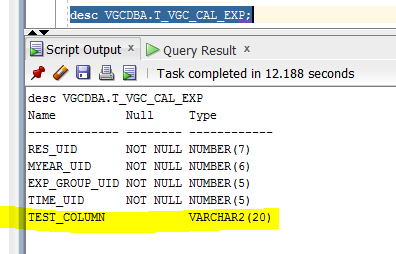 In 12c you can add a new column and set it as “invisible”. Before 12cR1 you could not have the ability to create multiple indexes on the same column (or set of columns), now you can do that but it will invisible. This can be beneficial to test application performance and different queries with affecting the current setup. After enabling the ddl loggin, all “ddl statements” will be tracked and written in the alert log. In my current 12cR1 database the parameter is set to false. 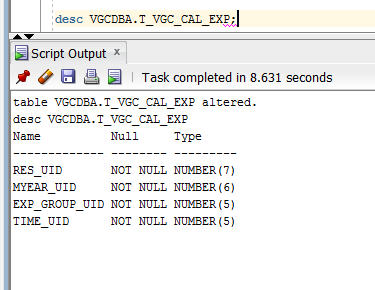 In 12c you can directly execute SQL & PL/SQL statements in an RMAN session, which gives extra flexibility for the DBA.